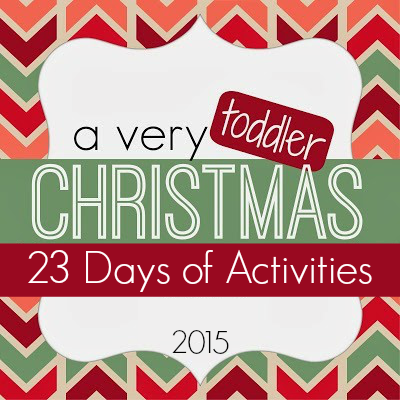 Earlier this week we kicked off our A Very Toddler Christmas series! So far we've played a Christmas toss game, created Christmas wreaths, and made a gingerbread man collage craft. 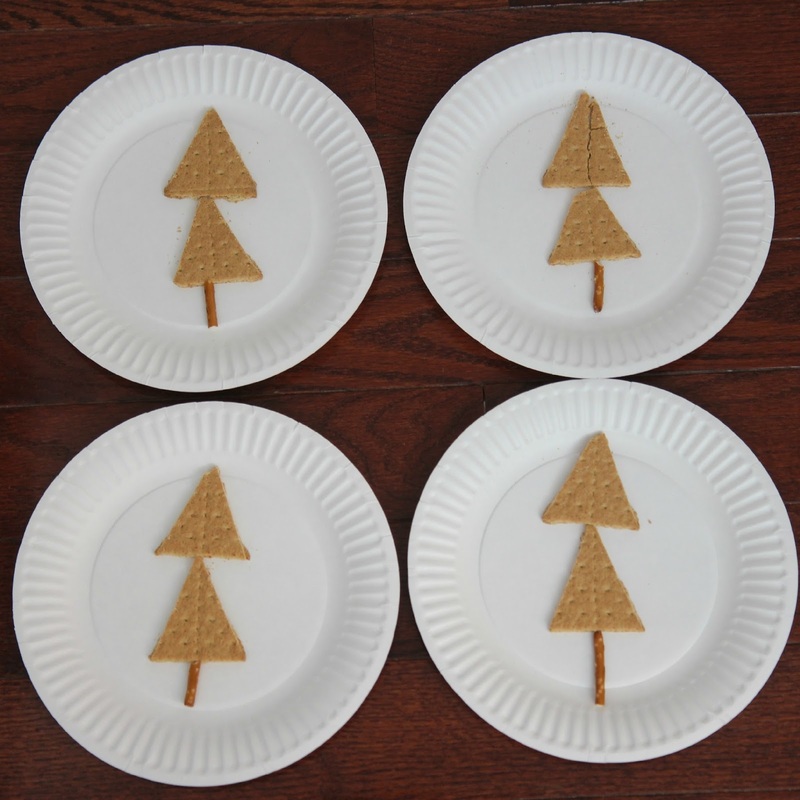 For Day 4 of our A Very Toddler Christmas series we decided to make a super simple Christmas tree snack related to our current favorite book (affiliate link)... Little Blue Truck's Christmas by Alice Shertle. This snack was whippped together really fast during our little preschool the other day. These are so easy to make! Break each graham cracker into two pieces and then cut the edges to make each square graham cracker turn into a triangle. Next add some frosting onto the graham crackers (use green if you want to feel especially festive... not lazy like me). Then stack the triangles and one piece of a pretzel stick to look like a Christmas tree. 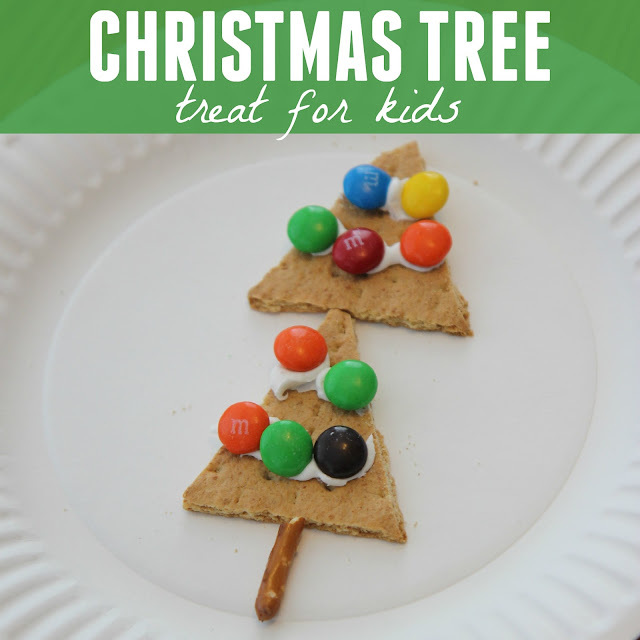 Finally give each child a handful of M&Ms or other colorful candies so that they can "decorate" their tree! Talk about the colors of your ornaments as you add them to the tree and eat them! Yum! Do you have any other favorite festive snacks for kids? 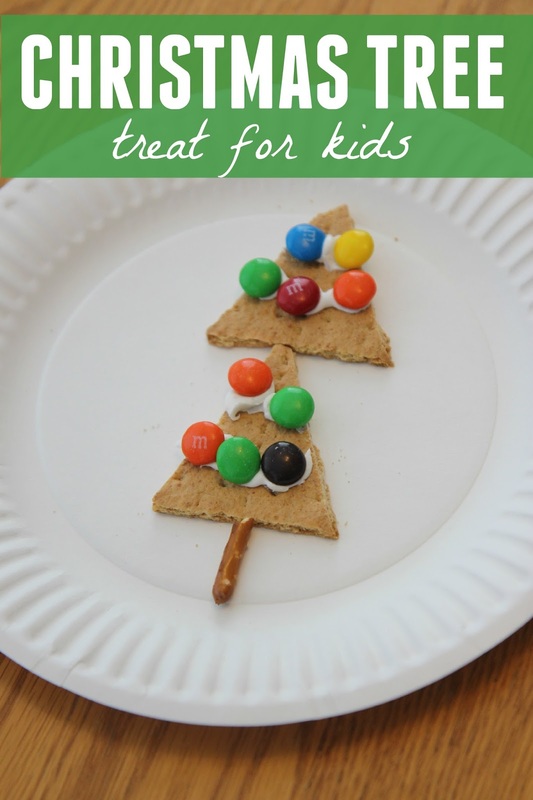 Here are a few Christmas snacks that I love from Teaching 2 and 3 Year Olds! We also love these Christmas tree rice crispy treats and peppermint brownies. If you haven't already, make sure to either subscribe to Toddler Approved via email or follow me on Instagram (@kristinatoddlerapproved) so that you can follow along with our A Very Toddler Christmas series.